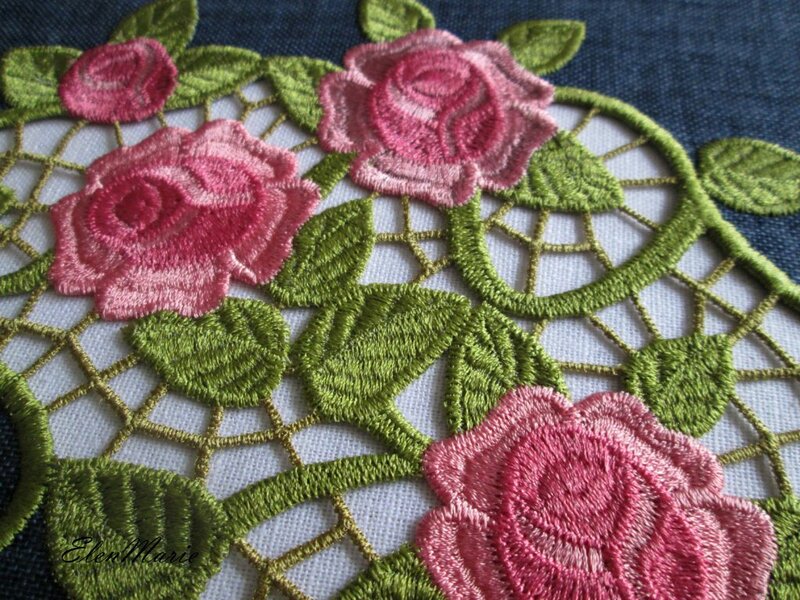 This fancy, lace runner is so pretty! I love the openness of the design. This will be done on a wash away stabilizer, then all you have to do when you finished embroidering is rinse and place. CutWork without the cutting!